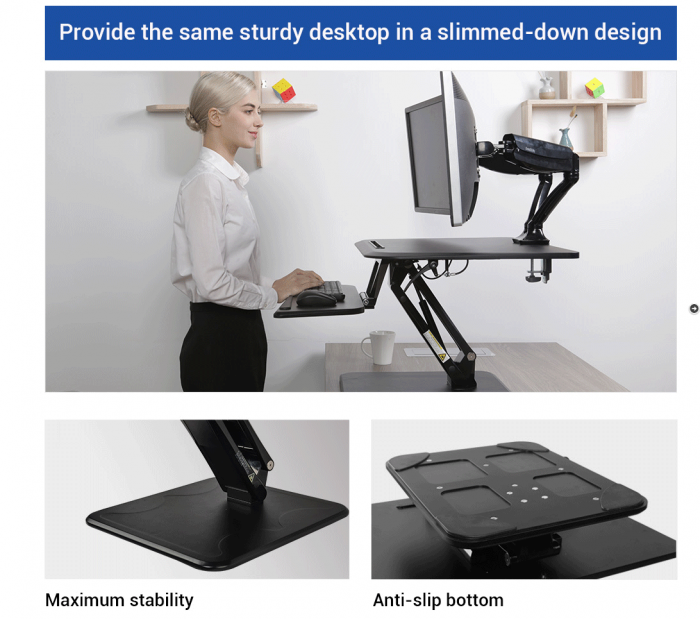 Our CompactRiser of sit-stand desktop workstations are compact, modern, and easy to use and are ideal for corner cubicles or limited space. They provide the same sturdy desktop in a slimmed-down design. 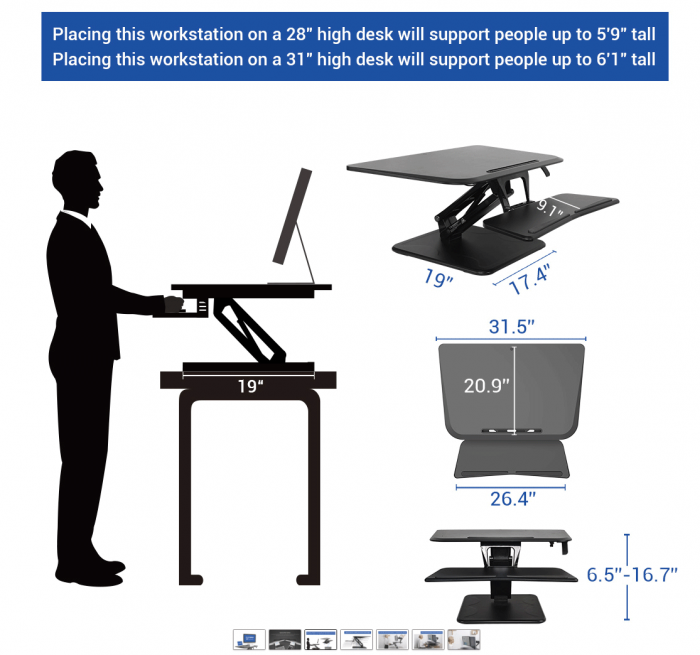 Instead of selecting from predetermined heights, you can easily adjust the standing desk to match your exact height requirements. 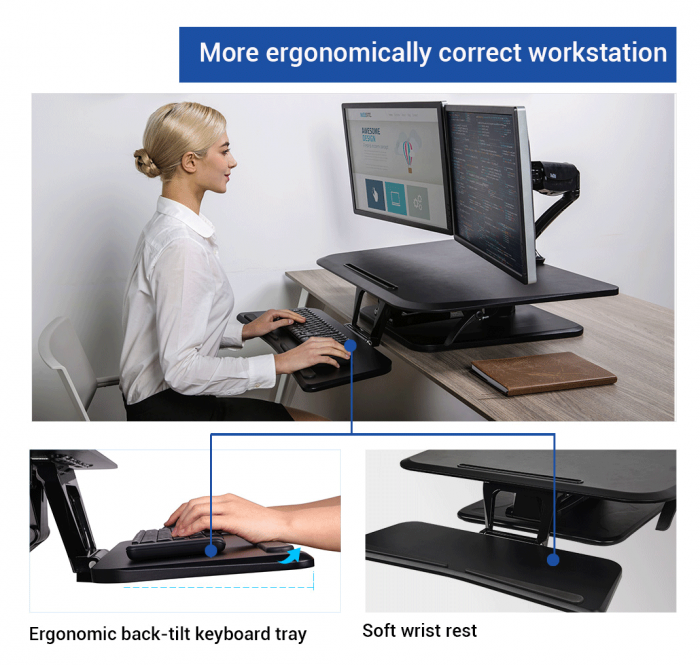 The keyboard tray allows for negative tilting, keeping your wrists in a neutral position. 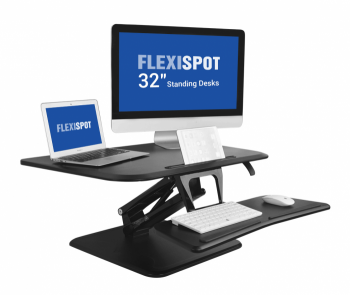 These workstations are cost-effective, ergonomic solutions that turn your desk into a sit-stand workspace with ease. EASY AND FLUID ADJUSTMENT: Advancedgas-spring hovering systems allow you to raise or lower the platform with the touch of a lever. 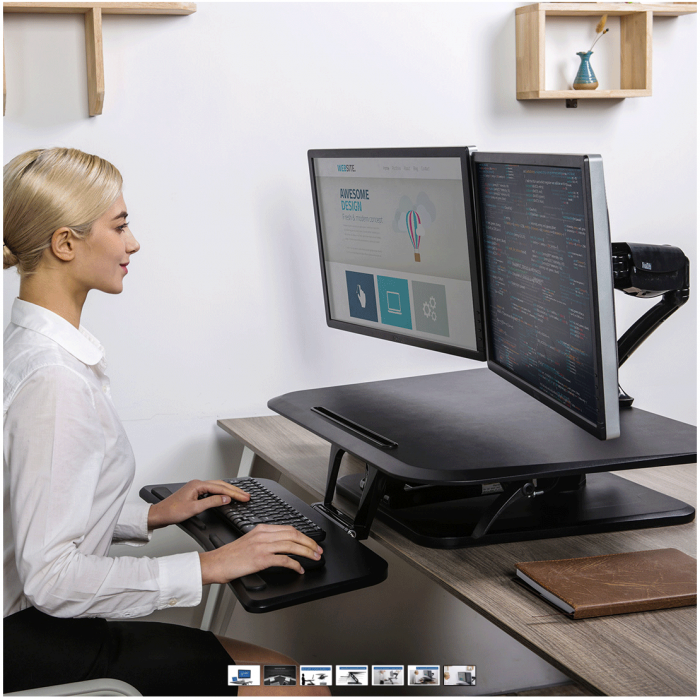 Instead of being limited by pre-determined heights, you can easily adjust the standing desk to match your specific height requirements. ONE-STEP ASSEMBLY:The CompactRiser desktop workstation comes pre-assembled. All you have to do is attach the keyboard tray. Remove the keyboard tray easily when you need your desk for reading or writing.